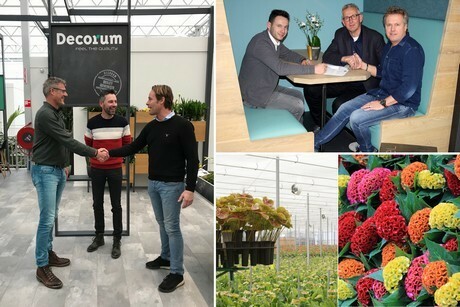 On April 1 2019, two new members will join the grower's association Decorum, Firore and Kwekerij Bosbloemen. Fiore is a well-known name in cut Anthuriums and Kwekerij Bosbloemen will expand the assortment with Celosias. Fiore grows 12 varieties of Anthuriums, of which they exclusively cultivate 4 varieties. Characteristic of Fiore is the attention they give to the various sortings. Fiore chose for Decorum for their focus on Italy, Germany, and Russia. Decorum actively approaches customers in cooperation with exporters. Kwekerij Bosbloemen is the family company of Koos, Marieke, and Philip Bos, located in the Westland area (s’-Gravenzande). Bosbloemen provides celosias in the Decorum assortment, a real seasonal bloomer. The flower production takes place from end March to end November. Bosbloemen grows Celosias constantly, which are available in five different colors.